I had a call from the two doctors indicating that they would like a days caving on Saturday, to loosen them up for an orienteering regional championship on the Sunday. We met up in Luigi's as is tradition before heading up to the car park to change in the sub zero temperatures. We headed down to the entrance and had a moment or two of trepidation when we could not open the padlock, had we got the right new combination? After a bit of faffing we were in and we headed up towards Gilwern passage, through the boulder choke and into the passages beyond. We decided to have a play round in the passages in this area before we tried once more to get through the Breadfruit Boulevard duck. Alas it was still silted up and Brendan too fat to get through, so we returned taking a few photos on the way out. 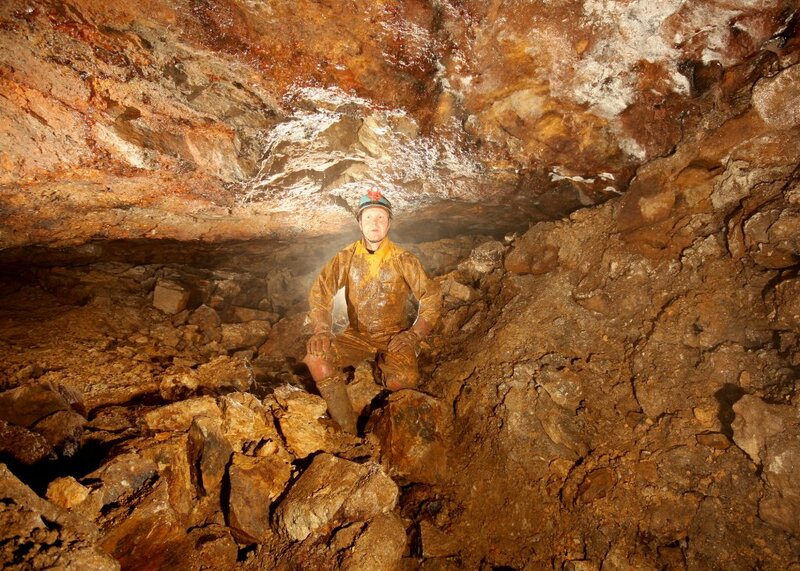 Wolverhampton will shortly have a new cave system with approximately 300 metres of passage. The system will be located in the newly relocated Wolf Mountain indoor climbing centre and will be open to the public early in the New Year. Currently half of the system is in old centre and half in the new. 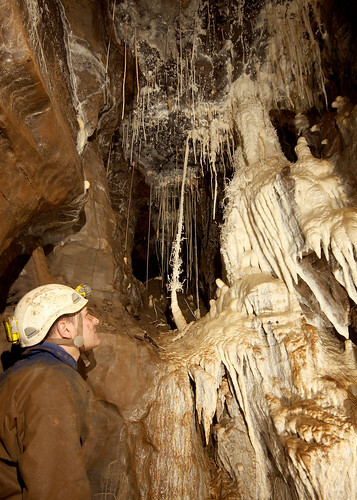 Brendan and Keith visited both halves of the cave and discussed Club access - especially for potential new members. We'll arrange a Club visit early next year. 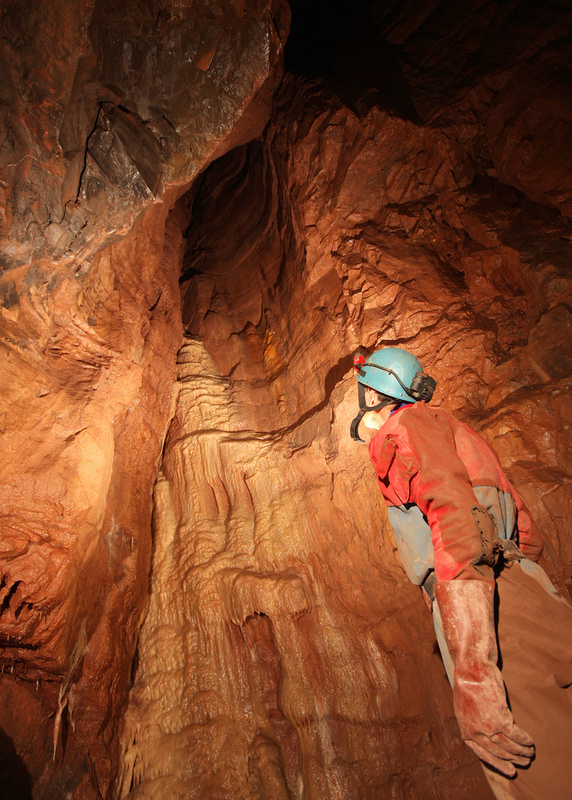 This was to be our second attempt to provide a trip into DYO of the North Wales cavers. 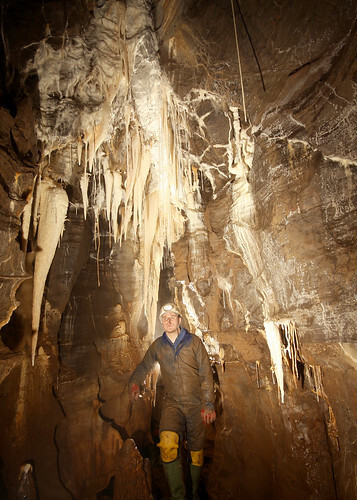 Yet again the weather foiled our plans and we instead had a trip into Tunnel Cave through Cathedral showcave. A trip up to Christmas Grotto and Steeple Aven proved a poor substitute for DYO. 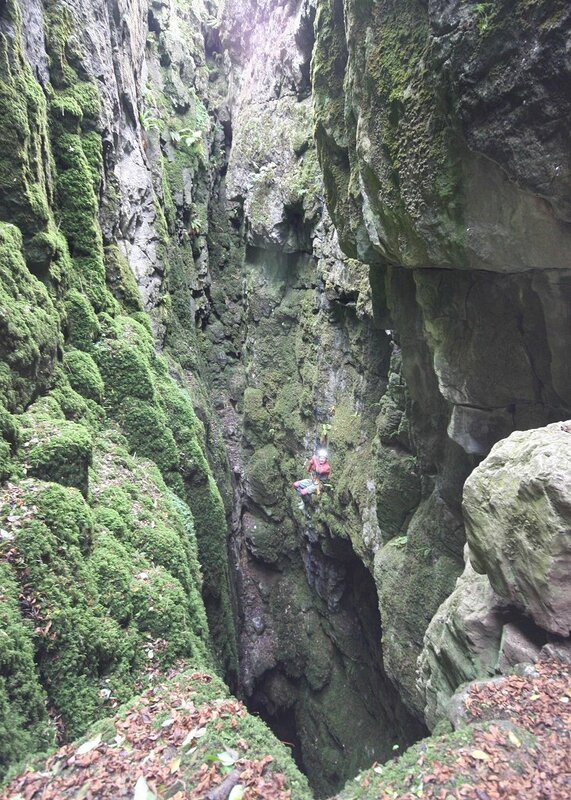 A fantastic abseil down Titan (145 metres deep) and then out via JH, Speedwell and Peak Cavern. Sorry no photos. Having found the entrance and then quickly finding the pitch, I rigged the life line off a nice piece of stal, and the ladders off a large flake of flowstone on the left hand wall very near the start of the slope. Now this isn't the best of ladder pitches as it slopes away from you and can't see the bottom, and when you climb down there is a section of about 5 rungs where you can't grip the ladder so you have to be very careful. If I go again I would use SRT - it would be easier. After a quick wade through the canal and a bit of crawling we arrived at a chamber where the survey says 'continue through a dig in the floor' well don't do what we did and go down the slope as it goes nowhere - just go straight on and you will come to what can best be described as a low tight duck, where I got a very wet ear. Just past here is the fallen slab which trust me isn't for larger people. You have to take your helmet off otherwise you can't see anything as your head is sideways. 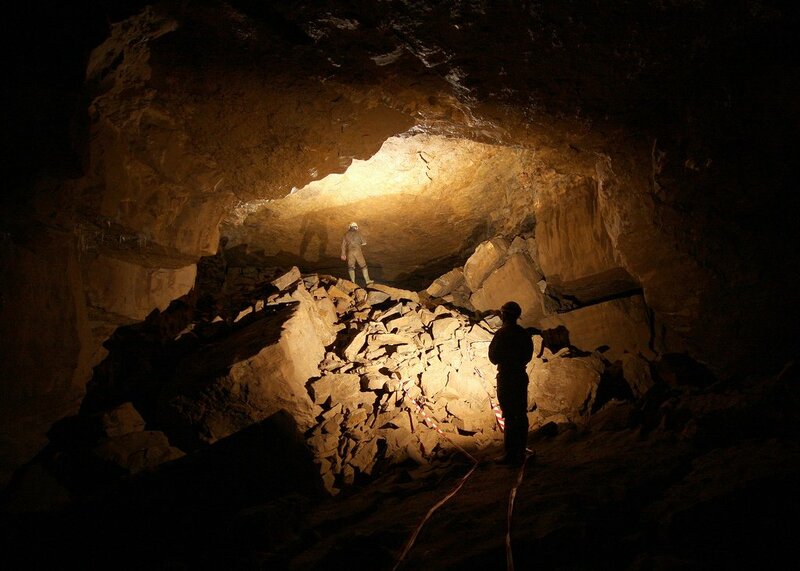 We were through into Ogof Foel Fawr. The exit from here is fairly straight forward and before we knew it we were out. All we had to do now was walk around the hill and retrieve the ladder. 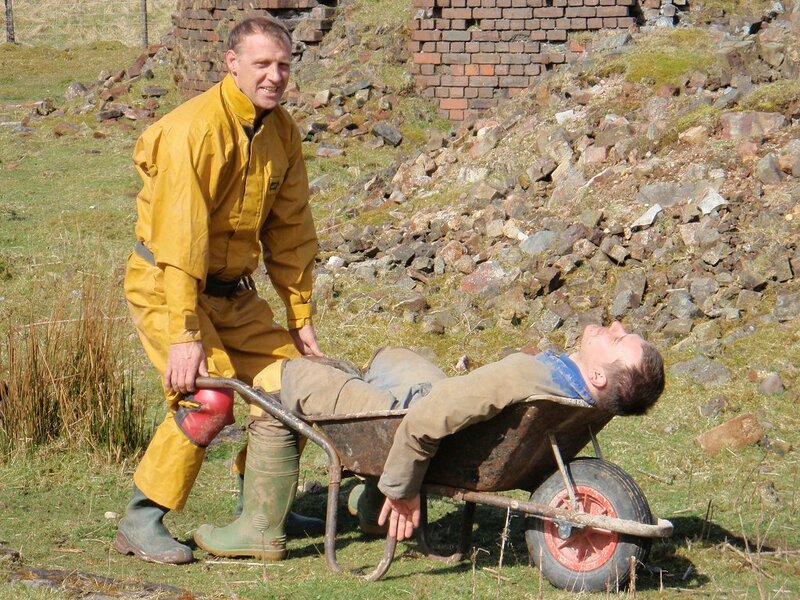 West Brecon CRT rescue practice. Brendan was the casualty! 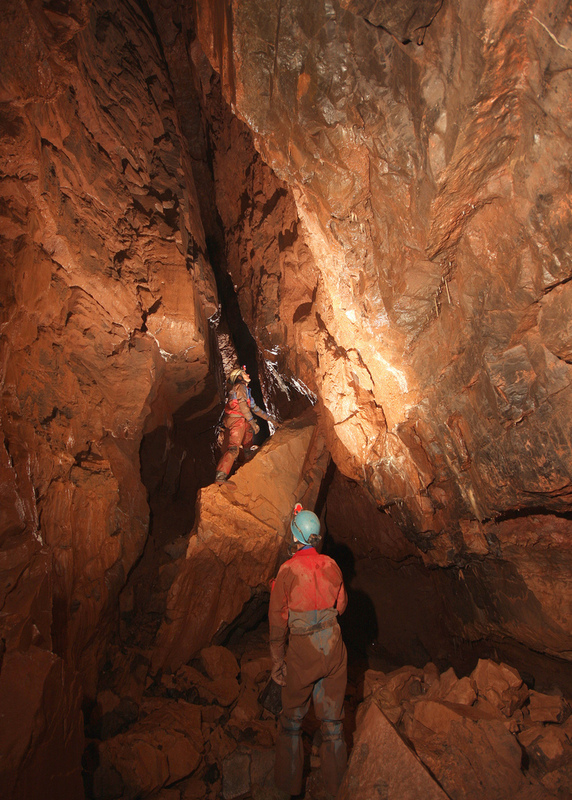 For those who have visited this cave you will appreciate that getting a stretcher through the system is a real challenge. We started at the second corkscrew but abandoned the practice before getting to the first one - this would have been very interesting! An SRT training trip in preparation for Titan. I rigged the West Wall route and Steve de-rigged while Brendan decided to take photos instead from North Gully. This was a real confidence booster. We had hoped to extend the club dig this weekend but the wet Summer meant that this had to be postponed. 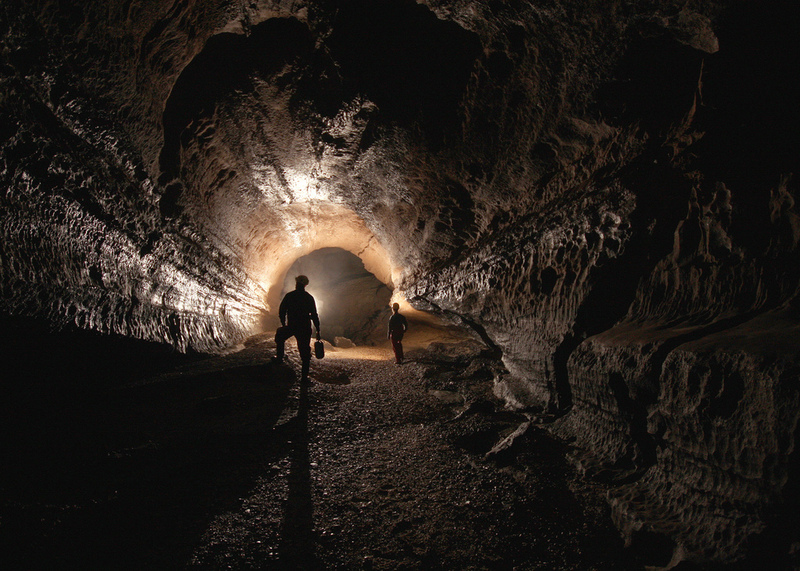 The Wyvern Series is an area of this extensive system that none of us had visited before. Unfortunately we ran out of time before we got to the end but, as you can see, Wyvern Hall is well worth a visit. It was also an opportunity to take some video in the entrance series and try out the latest video lighting - a LED Lenser P7. I'm so impressed that I've bought another one. 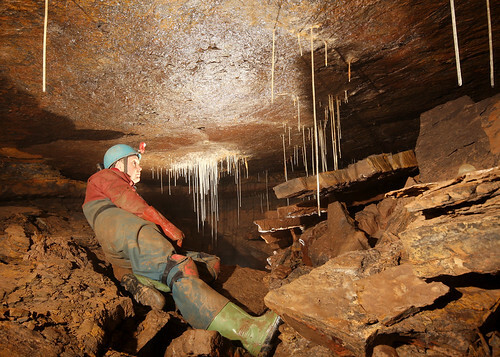 This trip was arranged for new member Tony to give him a taster of what caving is about. 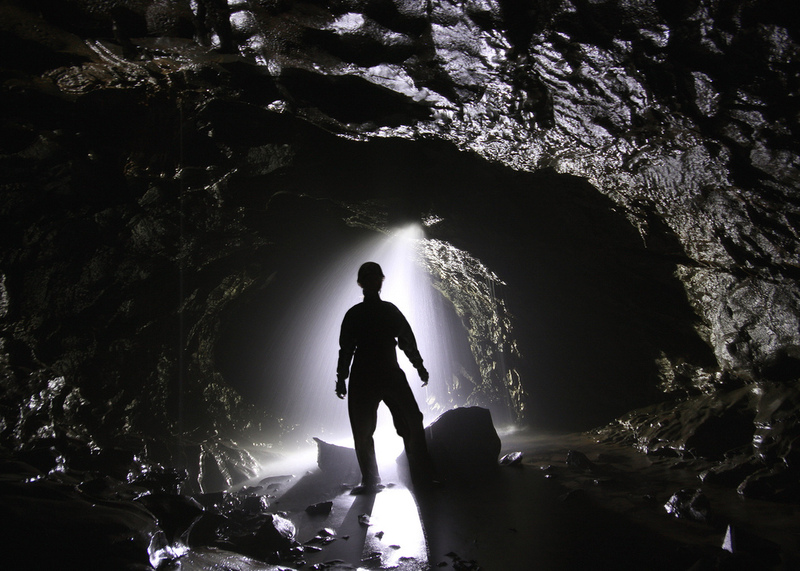 We started with a nice simple mine called Wapping Mine which is basically a walk about with a small amount of climbing which leads you up into Cumberland Cavern. 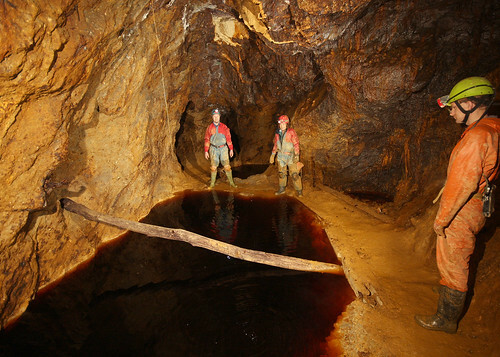 From here we moved on to Jug Holes mine which proved somewhat of a challenge to get to as they have blocked off Salters Lane at the Matlock end, so if you intend to visit Jug Holes don’t approach from the Matlock side of Salters lane. 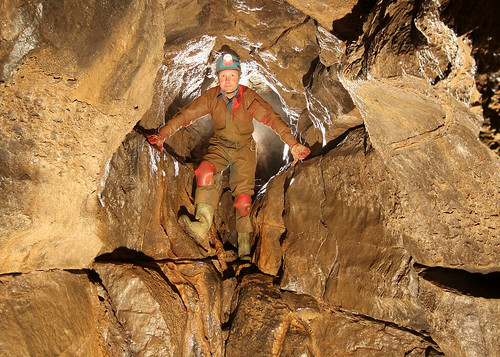 This was a little more challenging for Tony as we used the shaft to abseil into the mine and there was a bit more climbing and squeezing involved. From here we drove to Carlswark Cavern and did the short through trip by going in via Eyam shaft and coming out of the Gin entrance. The water levels in Carlswark were the lowest I had ever seen them (much to my disappointment). Heather and I went to Pool Park near Wrexham on Sunday 14 June, a very pleasant warm and sunny summer day. I was late meeting Heather, as the road at Much Wenlock was closed due to a rock fall. 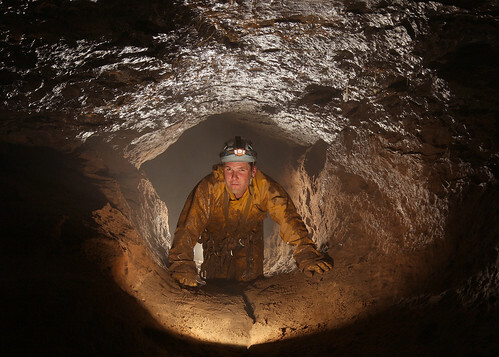 A winch trip had been organised for Cambridge CC by North Wales CC, to avoid the 100m climb in the entrance shaft. 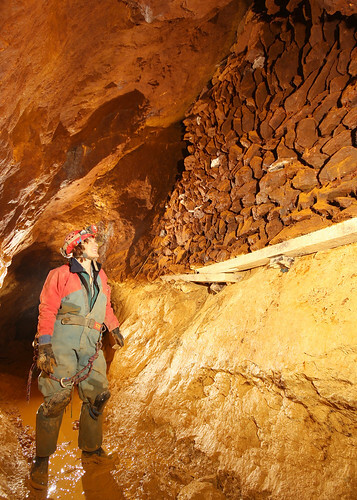 We did the round trip in the cave below the mine workings, including a detour up a small streamway which bypassed the "knotted rope" climb up a mud bank. 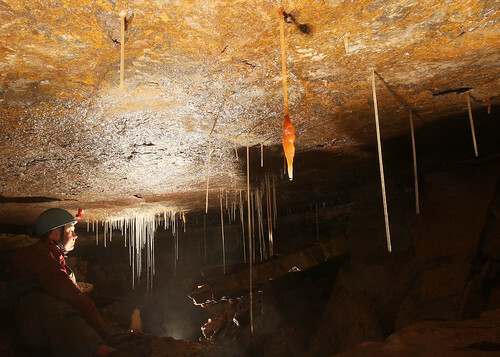 The caves are reasonably well decorated with straws in many places and some stalactites. 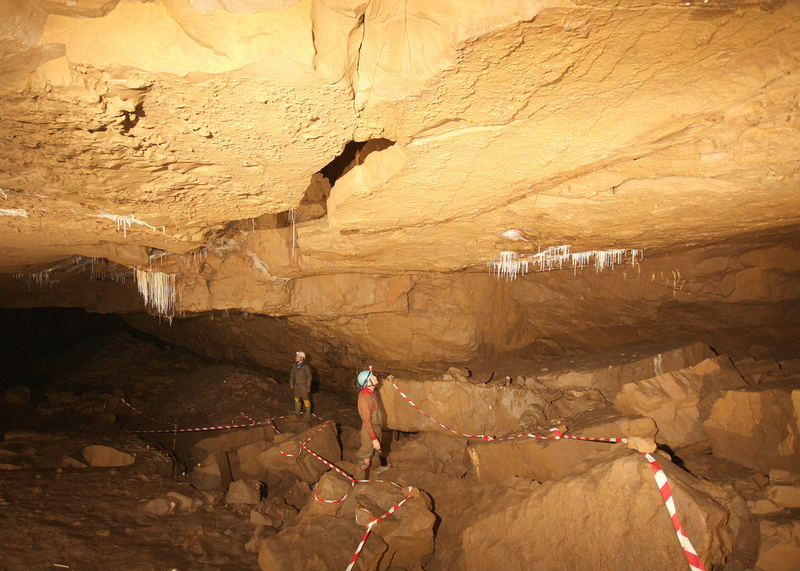 Because of poor weather at the weekend we selected this cave as it was relatively near, not affected by heavy rain and only a short walk from the parking spot. 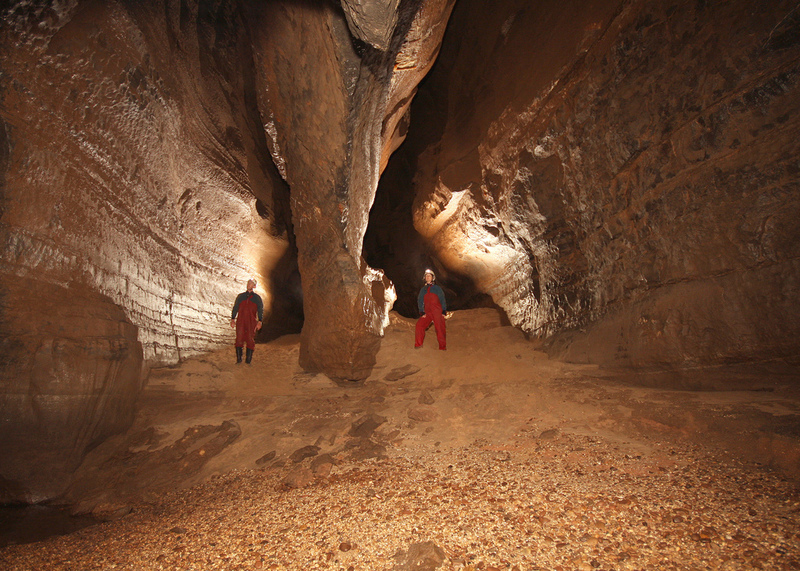 Unusually for South Wales this cave system has four pitches in it, two in the northern section and two in the southern section. The tackle coupled with camera box and video box made for some entertainment passing some of the squeezes and dug out sections which are tight enough even for the unencumbered. 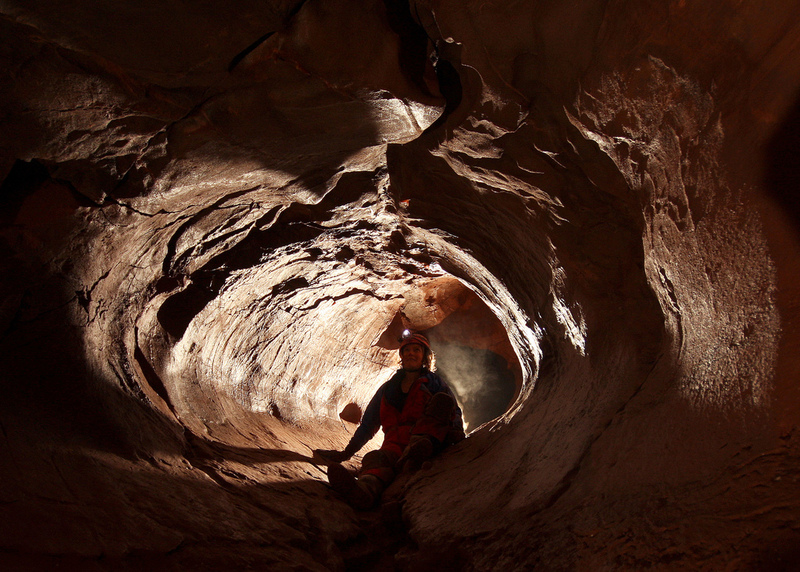 An interesting and challenging cave. 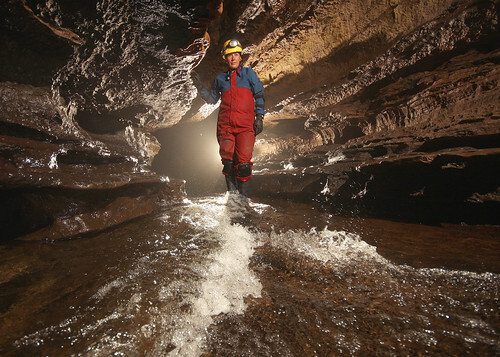 This was a second caving trip for Dean and a chance to take some photos and video in one of the most sporting caves in South Wales. 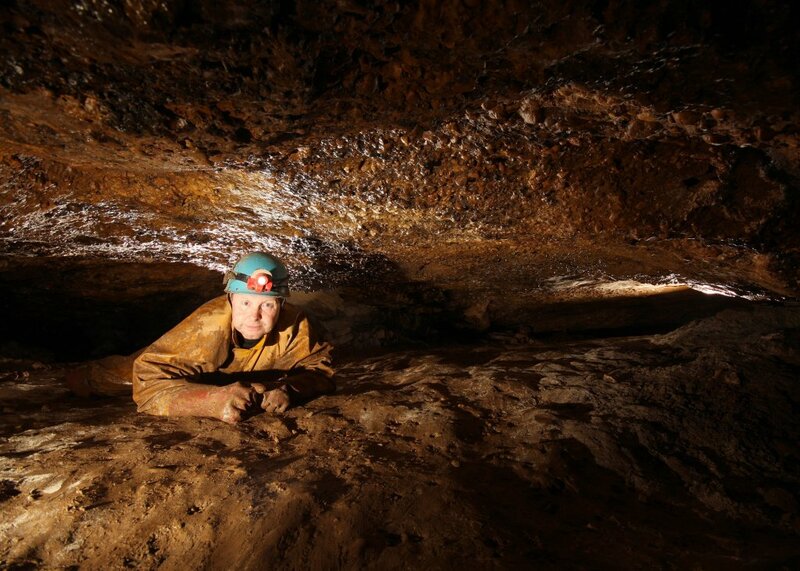 We took a standard route into the cave, through The Canal and down to Sump 2. Our return was through the canal Bypass and then to fight our way against the flow of the water through the entrance passages. 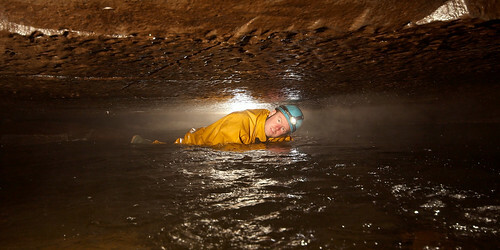 Although the helmet camera experiment failed some stunning video was taken with the waterproof camcorder. Another major engineering feat in the Forest area. Lots of scaffolded climbs through tons of loose rocks lead to a nice SRT pitch into a big chamber, but after this the streamway in tight and rifty throughout. 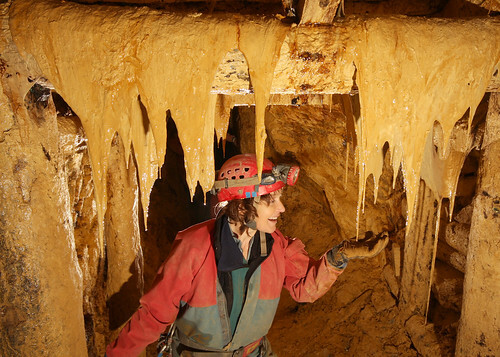 One for the cavers of slimmer stature. 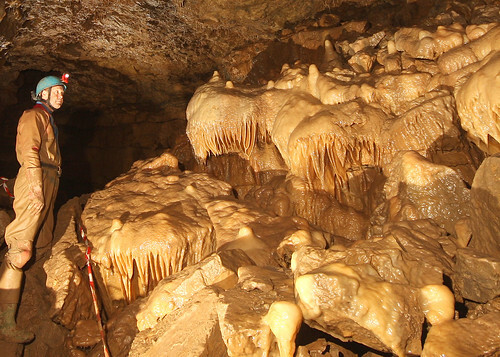 A trip to explore some of the lesser visited caves. 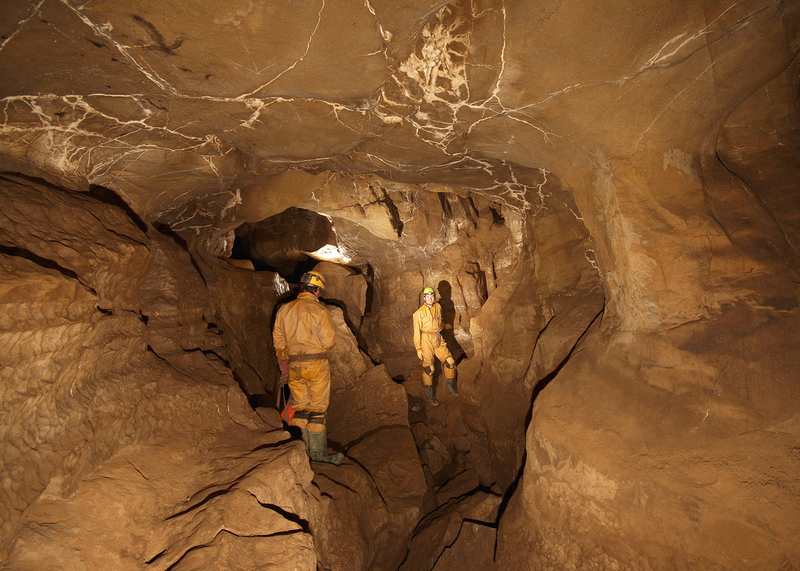 The cave is located in a shakehole and is formed just below the gritstone cover. Most passages are wide and flat so most of the progress involved crawling. The passage runs below an adjacent shakehole where we had to dig our way around the run in to find the further passages. 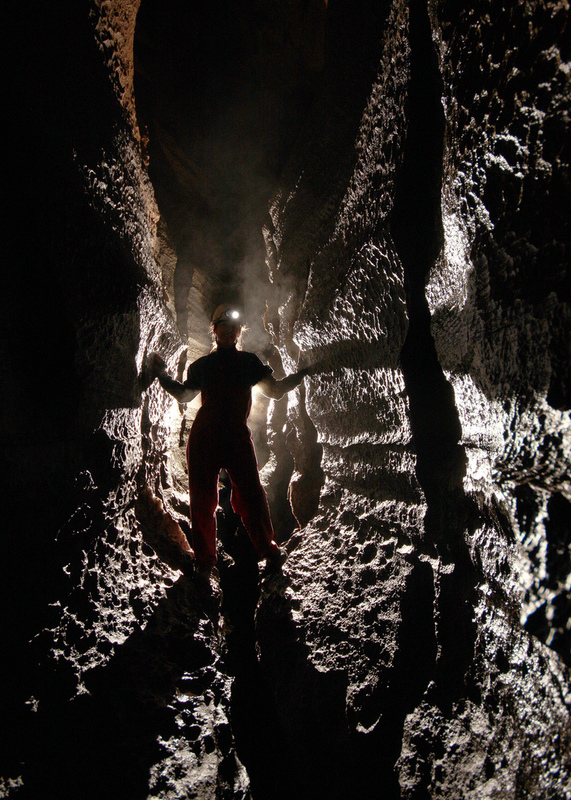 We aborted our visit to the lower passages due to the sharp nature of the rock and our desire to protect our ropes. A very successful weekend. 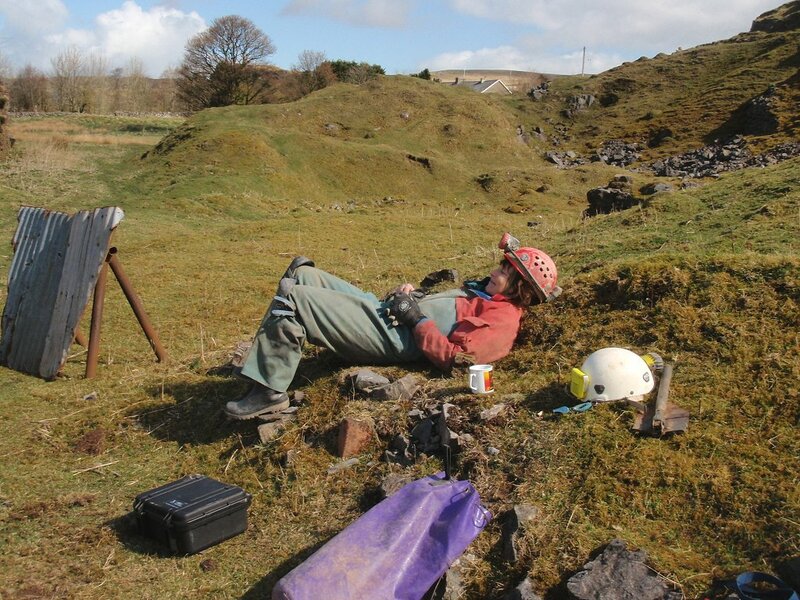 The dig is now almost 3 metres longer and about a metre deeper. Well our first obstacle was to remove all the boulders from the entrance so that we could get in, even with the boulders removed I knew I was going to struggle to get in, but I rigged a hand line and eased my way down the rift followed by Mel. Then we came to a chamber with a large shaft which is where I was sure we had to go, but the guide book confused us a little and we decided the way on was around a tricky traverse on the left hand wall, which isn’t for the faint hearted and Mel was heard saying she needed longer arms and legs. 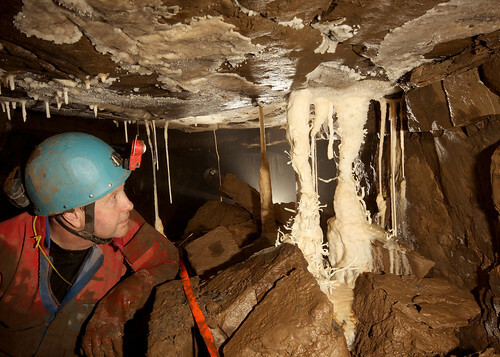 Well we got it wrong, and the way on isn’t to follow the traverse, but to go down the large shaft as you enter the chamber, but it isn’t obvious, as you can't easily see the P hangers to rig from. Once at the bottom of the pitch we went upstream to Midsummer Nights Dream, which is well decorated before continuing on until we came to the Ryan's Duck where we turned back to go down stream as far as we could, before turning around to head out. Now getting out for me was a bit of a challenge to say the least, and take my advice – don’t try to climb up the rift wearing your SRT kit as you will only get stuck, and trying to remove it in the rift is somewhat awkward!!! 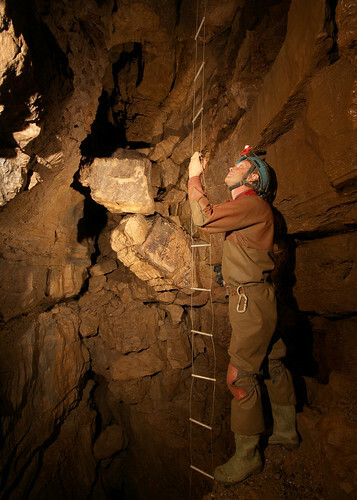 A return to Ogof Capel. Last time torrential rain was falling and sensibly the team turned back at the duck. This time we were able to get to the end of the system and take photos of the amazing formations near Tuppenny Ha'Penny choke. 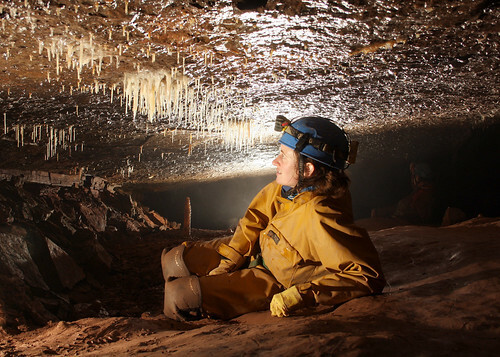 Del crawls under a false calcite floor. Keith views formations ion Slalom Passage. 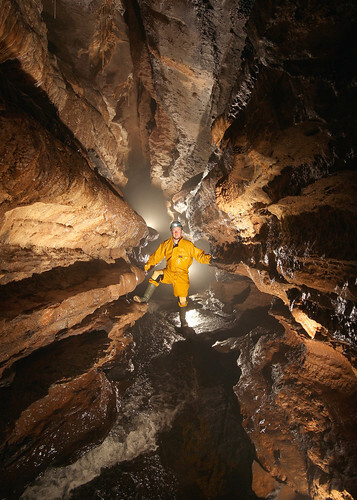 This was the Dan Yr Ogof trip that we had planned to do 4 weeks previously. This time the water levels were very low. The aim of the trip was to photograph Productus Passage above the Green Canal. Two members of the team took the lower route after the Long Crawl to the far end of the Green Canal while the other three followed the upper series and swum the Green Canal where unfortunately one member of the team found that a bag of SRT gear does not float! Keith in one of the branches of Productus Passage. Richard near the start of Productus Passage. 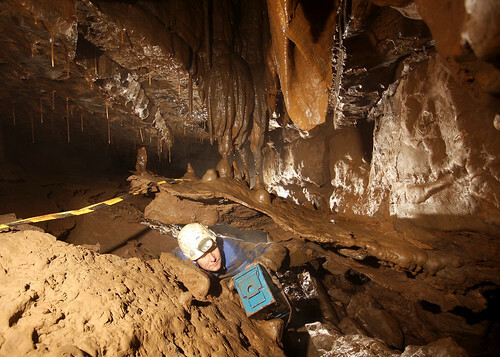 We diverted to OFD1 when an inch of rain fell overnight and made our planned trip to DYO impossible.The OFD1 stream was well up so we followed the escape route in and out of the cave. This was our first trip to the impressive Starlight Chamber and we will return to take photographs. Rachel in the bedding crawls approaching Starlight Chamber.